We are happy to announce that Anna Johansson, member of the Swedish Parliament and from 2014-2017 Minister of Infrastructure, is the new Chair of Mistra Urban Futures’ Board of Directors. Anna Johansson has a background as Chair of the Board for the Gothenburg-based real-estate company, Bostadsbolaget, as well as Got Event. Her political career started in 1995 as a Member of the City District Committee in Bergsjön, Göteborg. Shortly thereafter she was elected and took a seat in the City Council in Gothenburg, where she stayed until she was appointed Minister of Infrastructure in 2014. 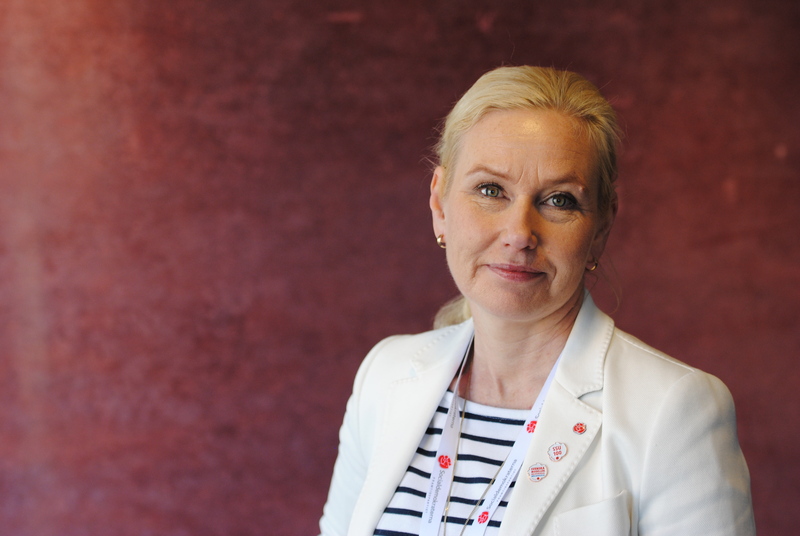 Since 2007 Anna Johansson has been the Chair of the Social Democrats in Gothenburg. “I’m thrilled about the opportunity to lead Mistra Urban Futures’ Board”, says Anna Johansson. “What attracted me to Mistra Urban Futures is the combination of locally specific research and the international network of cities engaged as well as the multidisciplinary approach. It is exciting to bring my political experience to the development of the Centre”. “We are happy and proud to be able to appoint Anna Johansson as the new chair. Anna was previously in the board of Chalmers University of Technology, and she has a strong commitment working with the issues relevant to the Mistra Urban Futures center. I am also happy that we have found a good balance between different perspectives in the new board members, local to global and university to society. I am confident that they will contribute with knowledge and engagement and help us make the most of the remaining two years as well as lay the ground for what is to come.”, says Mats Viberg, Professor and Vice President for Research, Head of the Department of Architecture and Civil Engineering, Chalmers University of Technology. Other new members of the Board include; Benjamin Bradlow, former Deputy Manager, Secretariat Shack/Slum Dwellers International and PhD Candidate, Department of Sociology, Brown University, Thomas Elmqvist, Professor, Theme leader, Urban social-ecological systems and globalization, Stockholm Resilience Centre and Carl Mossfeldt, CEO at Rework, World Fellow at Yale University. They will join the sitting members; Olivia Bina, Deputy Director at the Institute of Social Sciences (University of Lisbon), Lyla Mehta, Professorial Research Fellow at the Institute of Development Studies at the University of Sussex, UK, John Robinson, Professor at the Munk School of Global Affairs, and the School of the Environment, at the University of Toronto and Caroline Wanjiku Kihato, Visiting Associate Professor at the Graduate School of Architecture at the University of Johannesburg. in Cape Town, Gothenburg, Kisumu, Sheffield-Manchester, Skåne and Stockholm.